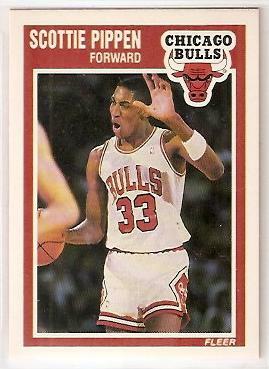 1989-90 Fleer second year card of former Chicago Bulls superstar Scottie Pippen. NrMt-Mt or better. ONLY 4 LEFT.